It’s just over a week since this blog was elected by the people of Louth and East Meath to be their Teachta Dála. As Fine Gael and Labour negotiated their way into government Sinn Féin’s new 14 strong Dáil team met in Leinster House to begin the work of becoming the real opposition. Everyone was in great form. We are very mindful that this is the year which marks the 30th anniversary of the hunger strike and of the sacrifice of the men and women in all of the prisons who contributed enormously to the growth and development of Sinn Féin. So, there was a real sense of change and of progress being made. A recognition that we are part of an all-Ireland team. A determined mood to advance our republican objectives and of confronting the bad policy decisions that will be the inevitable outworking of a Fine Gael led government. 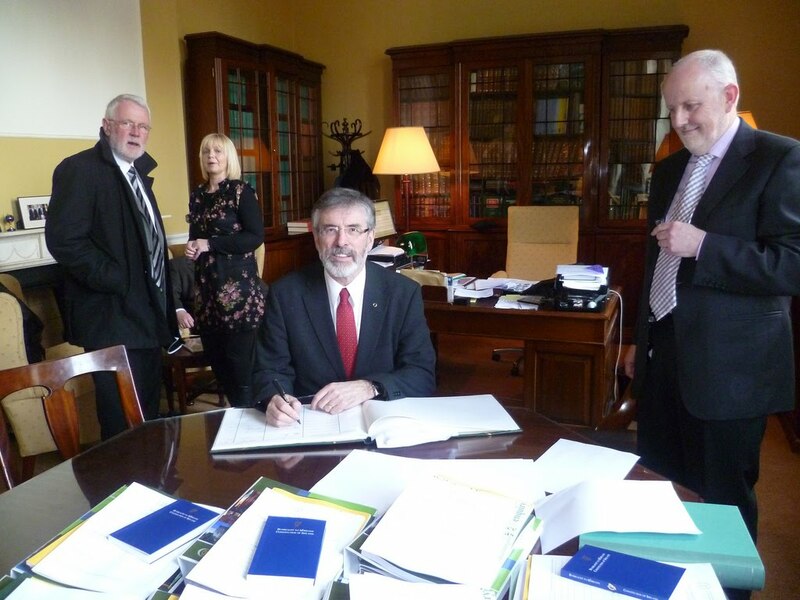 Sinn Féin is in Leinster House to do business. We are there to put backbone into the Dáil. The reality is that the problems of unemployment and emigration, of negative equity and of cuts to welfare payments and wages, and of taxpayers money being used to pay for private bankers greed, that were all part of the backdrop to the election campaign, are still there. The universal social charge is a millstone around the neck of citizens. This charge introduced by the last government takes money out of the pockets of over one million citizens, including people on minimum wage, carers, and blind pensions. And Fine Gael and Labour now claim that the briefings they have received from the department of Finance and others have shown them that the financial situation is worse than they were led to believe by Fianna Fáil. They should publish any new details they have. Citizens have a right to know. 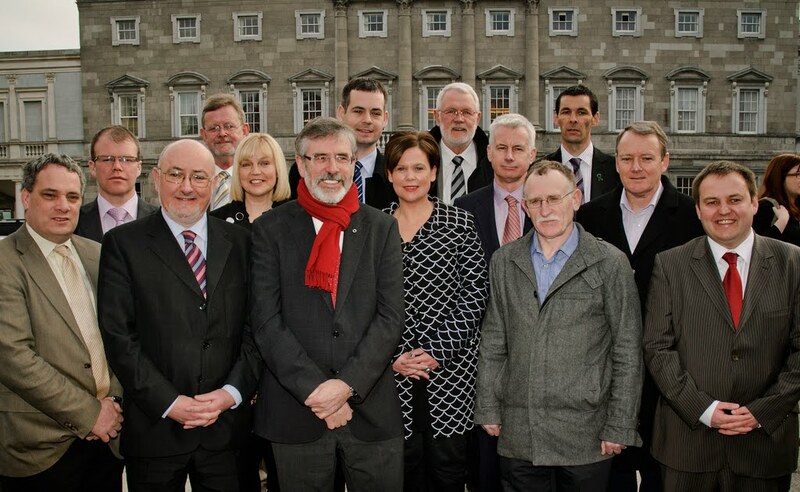 As well as the new Sinn Féin team of TDs getting together this blog spent several days last week at internal party meetings discussing organisational as well as policy issues as we prepare for the opening of the 31st Dáil. Thus far I don’t have an office. Until these matters are sorted out Aengus has very kindly let me squat in his. This week also saw the British Queen accept an invitation from President McAleese to visit the south of Ireland. Sections of the Irish media have embraced this development in a fawning and servile fashion. This blog is a republican and is against monarchies and elites of any kind, political or religious, secular or industrial. This blog is for power for the masses and rights for the individual. People have to be sovereign. People are citizens, not subjects. I am also very aware of the symbolism of a state visit by Queen Elizabeth of England. She and her family have been regular visits to the north over the decades. Unionists have a different attitude to the British monarchy than their nationalist and republican neighbours. For many unionists she represents their sense of who they are as British subjects. They will welcome the visit. There will be those who will not. It will give offence to many Irish citizens, particularly victims of British rule and those with legacy issues in this state and in the North. This blog believes President McAleese and her husband Martin have done good work. They have been especially diligent in connecting to Irish citizens living in the north and in reaching out to unionists. Unionist visitors to Áras an Uachtaráin are now commonplace. It is evidence that we are living in changed and changing times. Sinn Féin is in the leadership of this process of change. We are for the normalisation of relationships between the people of these islands, based upon mutual respect and equality. However this blog believes that the invitation to the English Queen and the visit are premature. There are many issues of concern which remain unresolved, including the partition of Ireland and those legacy matters which I mentioned at the beginning of this blog. Yes, the Good Friday Agreement provides a means for resolving all of these but much progress still needs to be made. You are off to a great start. The British are not. The British have to try to get there own house in order and note worry about the Irish nation. It's good to see you signing in there Gerry because the injustice continues unabatted. There needs, urgently, to be an inquiry into the mainstream media in the south. I was shocked by their coverage of the election campaign and in particular by their hostility to Sinn Fein. Who owns those papers and why are they now merely duplicates of UK titles? I was in Easons and they told me they stock the most newspapers of any shop in Ireland, so I asked for An Phoblacht. The assistant didn't know it. She got the manager. He knows of the paper but told me they don't stock it. He doesn't know why? Do you know why? The Sinn fein vision for a genuine Irish Republic is beautiful and I fully concur with it. But how does the party intend to mainstream it to the citezenry under the current circumstances?